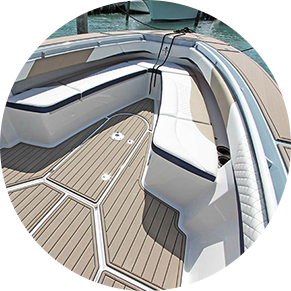 A boat inspection is a critical part of selling or purchasing a boat. So critical, in fact, that it is mandatory when purchasing a vessel through AdamSea. Marine surveyors, or inspectors, perform vessel inspections on all types of boats, such as tugboats, barges, pleasure craft, cargo vessels and passenger vessels, just to name a few. Beyond just having them accomplished pre-purchase, surveys are necessary for insurance eligibility, to comply with regulations and for resolution of insurance claims. 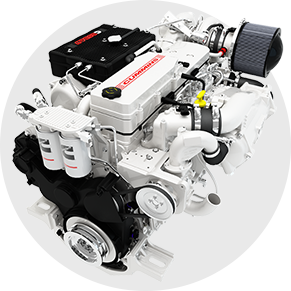 As the most expensive part of the boat, as well as critical to its operation, making sure the engine is working properly is paramount. The inspector will look for obvious problems like leaks, missing components, broken pieces and excessive rust. He or she will also check the coolant level or system, depending on it if it is freshwater cooled or not. The inspector will be able to tell a lot by the oil. If the level is low, that may be alright, but too much oil could be a trouble indicator, especially if oil is frothy or milky. It means that some other fluid – transmission, water or antifreeze – could be in the oil, indicating a cracked block or blown gasket. The surveyor will also start the engine, evaluating if it starts hard, runs smooth or misses strokes. They will check it under load as well as at idle to see if it runs rough and investigate further if it does. They will also monitor any engine smoking. While smoking at start may be the norm, it shouldn’t smoke for long. Smoke color can also indicate engine issues. The inspector or surveyor will literally walk the deck, spotting out suspicious or soft spots. If water penetrates the cored construction due to failed caulking or holes around fixtures, it can spread and soften areas throughout the deck. Such spots should be dealt with immediately. Untreated soft decks lead to sinkings every year. The inspector will tap spots on the deck with a small hammer that has a plastic head. Dull thuds mean something is wrong while crisp reports let you know the deck is dry and strong. There are three main components to rigging that the surveyor will inspect: wiring, terminal fittings and chainplates. 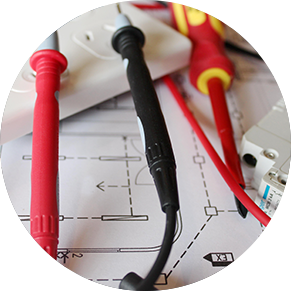 Wiring : He or she will check for broken wire or strands. An easy way to check is to wrap toilet paper around the wire and run it up and down to see if it shreds or snags. Wiring should be tight so any signs of “floppiness”, or loose wires, is an indication of a problem. Terminal fittings : Swage fittings are infamous for problems and will be looked at closely for fatigue, cracks, proud strands or corrosion. Any fittings that look banana-shaped or bent need to be looked at too. Chainplates : These will be checked for rust and movement as well as cracks, deformation and improper lead angles. 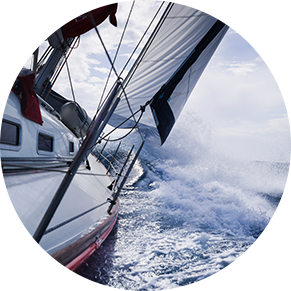 Chainplate issues lead to water damage which can be significant to deal with on the exterior or interior of the vessel. 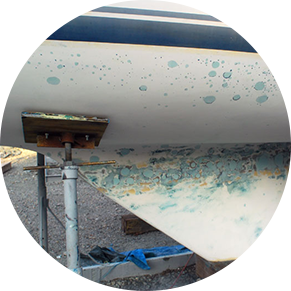 Fiberglass boats are at particular risk for these, as chemicals that manage to find their way inside the laminate coat start to bulge out. One or two, especially on older models, are not of particular concern, but a “rash” of them – hundreds or thousands on the bottom of the vessel – are a big, big sign of trouble. Both the DC and AC systems need a comprehensive inspection, especially on used vessels where ad hoc repairs had been done to address minor issues throughout its life cycle. The surveyor will make sure the batteries are in watertight containers and cannot move. He or she will make sure the outlets throughout the vessel operate safely. The more thorough the inspection by the surveyor, the more certain you can be that you are buying a quality vessel that will provide years of safe and enjoyable boating.